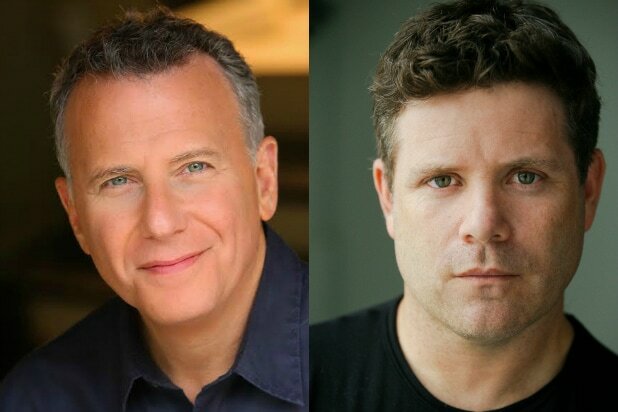 Paul Reiser, Sean Astin and Danish actress Linnea Berthelsen have been cast on “Stranger Things” Season 2. Berthelsen will play Roman, an emotionally damaged, magnetic young woman who suffered a great loss as a child. Although she does not live in Hawkins, she is mysteriously connected to the supernatural events at the lab, according to Netflix. Sean Astin has been cast as Bob Newby, a kindhearted former nerd who went to high school with Joyce and Hopper. He now manages the local Hawkins RadioShack. Paul Reiser is Dr. Owens, a high-ranking member within the Department of Energy on a “clean-up” assignment, tasked with containing the events of last year. 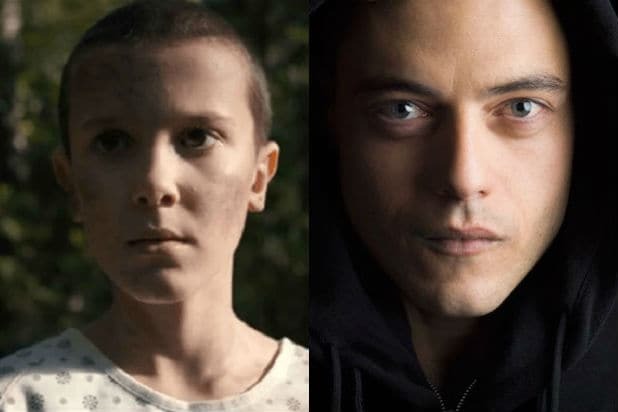 Also Read: 'Stranger Things' Releases Season 2 Cast Photo: So Who's Returning? Berthelsen grew up in Denmark. In 2016, she’s appeared on Danish TV shows “EXITIUM” and “The Desert” while studying in London, per an official bio. She took part in various film projects in Denmark before settling in London in 2015, and made her debut as a lead in “NATSKYGGE”, a sci-fi thriller short-film that premiered in “Dagmar Teatret” in Denmark in 2015. Berthelsen is currently scheduled to star in the world premiere of “Ved Herrens Mark” at Theatre GROB in Denmark in 2017. Season 1 of “Stranger Things” took the summer by storm when its eight episodes debuted in July. This Netflix series from the Duffer brothers didn't have a lot of buzz going in, but once it dropped it was all anyone could talk about for weeks. The mix of '80s nostalgia and spine-tingling thrills and chills made the show a hit. Add a scene-stealing turn from Winona Ryder and the top-notch young cast and you've got fans already clamoring for more. CBS' newest summer series came in with plenty of buzz. Created by Robert and Michelle King -- the team behind "The Good Wife" -- the show promised to be a smart look at DC insiders through the lens of an alien invasion sci-fi series. But the show's ratings have been disappointing to say the least, averaging less than 3 million viewers per episode thus far. The Netflix prison dramedy returned in fine form in Season 4, generating laughs and tears in equal measure. The show also stirred plenty of controversy when it killed off a fan favorite and gave characters played by Natasha Lyonne and Lori Petty incredibly memorable story arcs. This has been a horrible summer for Viacom, one that mercifully may be on the upswing following the official ousting of Philippe Dauman. And that's not the only key turnover at the publicly traded company. In addition to all that boardroom drama, Larry Wilmore was let go from his Comedy Central show after just 18 months. Then there was that whole weird thing with "Inside Amy Schumer" ... let's just hope Trevor Noah improves. NBC did exactly what executives said it would -- the broadcaster overtook CBS to become top dog in the 52-week TV season, thanks to the Rio Olympics. While the Summer Games didn't blow Nielsen away, they did exactly that to the competition. It wouldn’t be fair to peg NBC's entire summer on just two weeks, since series like "America's Got Talent" and "American Ninja Warrior" shined for far longer. HBO had another great Emmy season, with more nominations than ever for "Game of Thrones," but it was a rocky road for its latest big prestige project hope, "The Night Of," which didn't exactly become the next "True Detective." Fellow summer series "Vice Principals" also failed to make much of an impact. While The CW made a breakout star out of "Jane The Virgin's" Gina Rodriguez, it's also made a winner out of her co-star Justin Baldoni, who's gotten to see his passion project "My Last Days" not only run on the network's streaming service CW Seed, but become a primetime TV show as well. Despite the USA series garnering four Emmy nominations, its second season has failed to generate the same buzz as the first. The ratings for Season 2 are about half of what Season 1 generated. Some Emmy wins and delayed viewing may boost it down the road, but for now this one falls in the loser column. Fox News Channel should have been a huge loser this summer, as former CEO and chairman Roger Ailes stepped down in amid sexual harassment claims. However, viewers tell a different story and Fox has continued to dominate cable news ratings despite the on-going turmoil surrounding Ailes. ABC dominated the summer with the surprise hit "Celebrity Family Feud," and the network expanded that strategy by adding revivals of three other classic game shows, "Match Game," "$100,000 Pyramid" and "To Tell the Truth" to the line-up this year. Well, we got a seven-game championship series -- it was just a weird journey along the way, complete with a key suspension for Draymond Green's below-the-belt obsession. Not that ABC's complaining, of course -- especially after that traditional fall TV season.